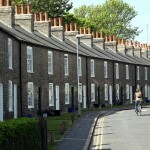 Are local communities key to improving energy efficiency? According to a group of householders living in Greater Manchester, saving the planet requires trust, but Britons no longer trust the energy industry, which is why interest in a co-operative retrofit organisation has grown over the past few years. Should the task of improving energy efficiency around the home be outsourced to local communities? Carbon Co-op was established five years ago by a group of like-minded residents living in the Greater Manchester area. The aim of the group is simple: to help save the planet by carrying out cost-effective retrofitting work on homes using ‘shared experience and knowledge’. The co-operative believes that, by insulating homes at a reduced cost and for the benefit of local communities (all resources are retained by Carbon Co-op, which has no external members), households will be more inclined to have energy efficiency improvements carried out on their homes. That belief is predicated on the assumption that people do not trust the energy industry, which has been tasked with improving the energy efficiency of homes by 2050. Jonathan Atkinson, a member of Carbon Co-op, said: “The UK has a legally binding target for cutting carbon emissions by 80 per cent by 2050 from a 1990 baseline. At the same time, escalating fuel bills are leading to more and more people experiencing fuel poverty. Consequently, we’re aiming high and offering packages of retrofit improvements to householders that will cut both energy bills and carbon emissions”. Carbon Co-op has partnered with URBED, a leading provider of retrofitting, to carry out the improvements. The group also published the Greater Manchester Retrofit Strategy to explain its objectives, which centre on bringing homes in Britain up to “2050 standards”. Shouldloft insulation, double glazing and other retrofit improvements be made by co-operative organisations? Yes. Undoubtedly yes. Any scheme that aims to improve the energy efficiency of homes at a relatively low cost should be praised. Energy suppliers are not doing enough to control gas and electricity tariffs and provide retrofit installations, so the community has little choice but to step up. Atkinson added: “The UK has 26 million homes which need to be made more energy efficient. If we are to meet the 2050 target, then we need to be retrofitting at least one million homes a year”.